Spheric is a range of stunning woven wool designer rugs made by Brink & Campman. 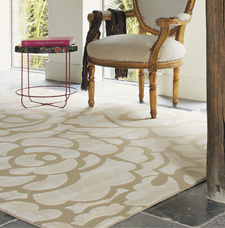 Woven using a mix of spun wool and fine acrylic, the rugs boast a soft touch and a warm feel. In addition the simple and elegant designs featured in this collection along with the neutral colours contribute to an overall stylish, discreet and chic look. Fabric: 70% Wool 30% Acrylic.